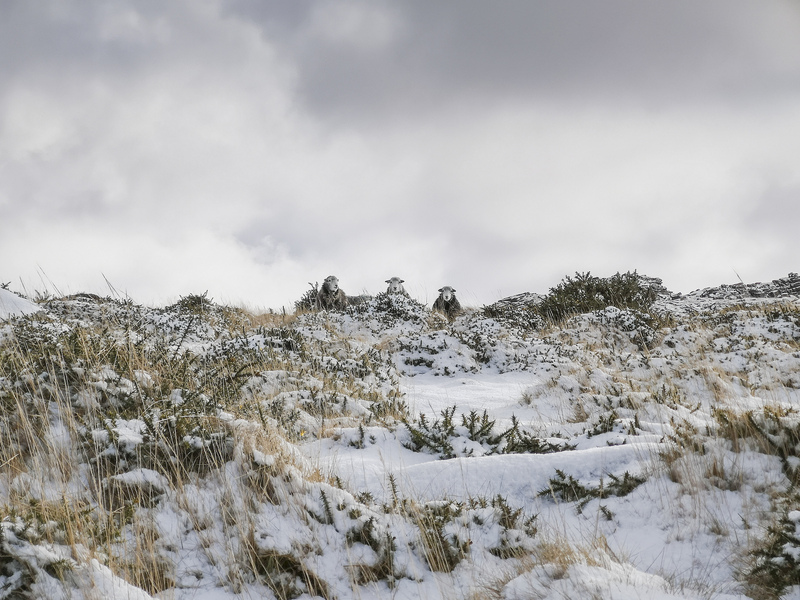 I love snow, watching it, walking in it and in fairness, I don’t mind driving in it either, although you have to even more mindful of the mad fool trying to complete a record-breaking A to B.
I’ve only managed two ‘snow’ walked and camps this season and I thought I would share a few pictures from them. All pictures were taken on my Huawei P20 Pro in 10MP mode with minimal editing. A little snow hanging around..
Just after we pitched, there was a light dusting of snow when we arrived. Standing Stone at Great Links Tor just after sunrise. Altra Lone Peak 3.5, worked well and fairly good grip in snow/ice. This was to be Jay’s first snow camp. Setting off from Belstone we walked the long way around to West Mill Tor to avoid military activity. Although there was no live firing programmed for the ranges, the military is still very active and can conduct blank firing exercises. We pitched just below West Mill Tor, there was a nice flat area for us both. As we started to pitch the snow came down fairly heavy for about 30 minutes. I slept fairly well, waking up now and then for a coffee and call of nature. We woke to an amazing snowscape with a truly stunning sunrise. 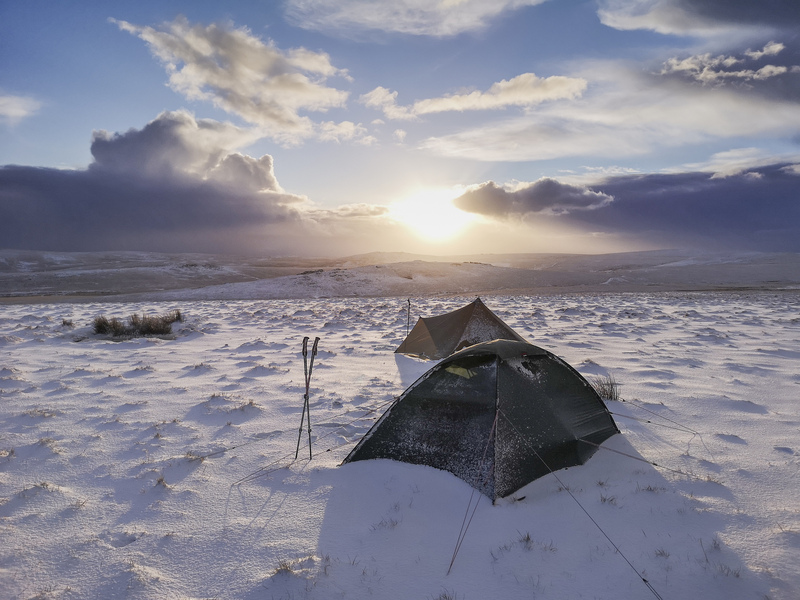 People often say I am mad using the Trailstar with no door in the snow, I always reply why…. careful pitch direction and pitch choice has meant I have only ever had to change the door direction twice in nearly 60 nights under this fantastic shelter. A quick vid on Youtube of the second walk/camp.